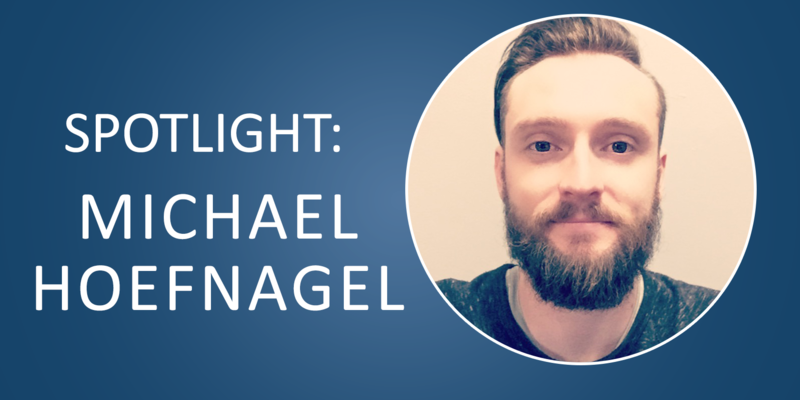 This week, we took some time away from our desks to interview Michael Hoefnagel about his work in Unlawful Detainer Services. Michael has consistently gone above and beyond for clients and truly exemplifies First Legal’s core values. We had so much fun chatting with him, and we’re excited to share the details of our conversation with him. Can you tell us a little bit about your exact position and what your typical day looks like? I currently monitor and oversee all Unlawful Detainer accounts. From monitoring all incoming/outgoing emails and preparing filings, to service of process and proofreading proofs of service, my hands touch just about every part of the UD process. This seems like a particularly sensitive area of the legal process. What drew you to this position? When I first got involved with the UD position, I was not really sure what it would entail, but I was up for the challenge. Dealing with evictions isn’t the friendliest avenue of litigation, but overseeing the eviction process from the initial posting notice to completing the lockout is an important job. You have a reputation for completing your job with compassion and understanding. That’s incredibly important in unlawful detainer services. Has your approach developed throughout your career, and if so, in what way? Yes, I have found that responsible time management and attention to detail are extremely important in this particular area of the legal process. I am constantly reshaping my methods to ensure the client receives a level of quality and urgency that meets their expectations. What do you think is the most important thing to know about unlawful detainer services? I would say the most important thing to remember when serving a UD, is that we are going after the property in question and not the individual. Another thing to remember is to always proofread. Names and addresses must read exactly as they are on the lease. How long have you been with First Legal and what has your experience been like within the company? I have been with the company for nearly 3 years, and thoroughly enjoy being a part of this company. Our team members feel like family, and I have established many great relationships just by working at the company. Is there anything you think our clients or your coworkers might be surprised to know about your job? The only thing that may come as a surprise is how hands-on and involved I am with each UD. Other than a few accounts, I monitor and oversee the lion’s share of all UD clients and work. What 3 words do you think best describe First Legal? Consider. It. Done. I feel that this motto is something that the First Legal family knows all too well. Time and time again, I see and hear our team go above and beyond to meet the expectations of our clients. We always strive to maintain a level of professionalism, trustworthiness, and urgency our clients have come to know as the First Legal standard. What advice do you have for prospective First Legal candidates? What I would recommend to all oncoming First Legal candidates is to keep a cool and level head, and to stay as organized as possible. There will definitely be times where you will feel overwhelmed, but the key is to take it one job at a time and to make sure instructions are as clear as possible. Get to know and establish a personal relationship with your team. Being able to have a team that you can depend on enables you to meet and oftentimes even exceed the client’s expectation. ARE YOU PREPARED FOR CCPA REQUIREMENTS? CONFUSED ABOUT EFILING PROTOCOL? READ THIS. First Legal is the first true comprehensive File Thru Trial™ solutions firm. We are uniquely qualified and have proven to bring continued success to our clients. That success comes through our culture of innovation and trust, commitment to quality service and depth of industry knowledge. This single-source approach enables us to simplify the litigation process for our clients. © Copyright , First Legal. All rights reserved. Fee Schedules, Customer acknowledges receipt and review of FLN Standard fee schedules as modified from time to time. Limitation of Liability, In the event of any failure of FLN to properly or timely perform instructions given, FLN’s responsibility shall be limited to correcting any defects in performance or redoing the assignment. FLN’s liability for any direct economic damage incurred as a result or any breach, failure, act or omission of FLN, its employees, subcontractors or agents in connection with services performed shall not exceed the greater of (i) elimination or reimbursement of that portion of any FLN charges for the services improperly or not performed or (ii) $100.00 per invoice, whether or not such damages result from the negligence of FLN, it’s employees, subcontractors or agents. Under no circumstances shall FLN be liable for incidental or consequential damages, lost profits or loss of income, regardless of the amount, cause or foreseeability therefore. Any waiver of this limitation by FLN at any time with respect to any claim shall not constitute a waiver of such limitation at any other or with respect to any other asserted claim. 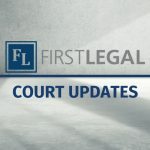 Attorney’s Fees, In the event legal action is necessary to collect any or all amounts due FLN for services rendered, the prevailing party shall be entitled to reasonable attorney’s fees and costs to be paid by the losing party.